Jim Thorpe was born on this day in 1887. The Oklahoman, of mixed native American and European heritage, was arguably America's greatest athlete. He excelled at the highest level in pro football during era when players had both offensive and defensive positions. Thorpe spent six years in big league baseball, mainly with the New York Giants. He also was a gold medal Olympian in the pentathlon and decathlon. There's even a city in Pennsylvania named after him. Thorpe's athletic feats and fascinating off-field life forms the basis of Enslow Publishers' biography of the legendary sportsman. Author Michael A. Schuman's 128-page, age-appropriate work vividly recounts Thorpe's challenges and triumphs. The book includes purposeful color and black-and-white illustrations, as well as useful backmatter. Jim Thorpe: There's No Such Thing as "Can't," part of Enslow's "Americans--The Spirit of a Nation" series, is available in a library-bound edition from Enslow for $23.95. That price represents a 25% discount from Enslow's list price to school and library customers. The title is also available from your preferred vendor, Barnes and Noble, and Amazon. Have you hugged a turtle today? Today is World Turtles Day! May 23 is World Turtle Day, an annual celebration to increase awareness of turtles everywhere. World Turtle Day was started 13 years ago by the American Tortoise Rescue (ATR). 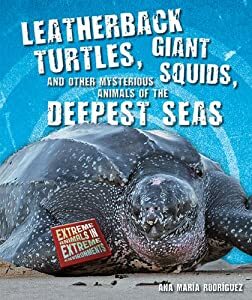 To learn more about leatherback turtles, check out our book, Leatherback Turtles, Giant Squids, and Other Mysterious Animals of the Deepest Seas by Ana Maria Rodriquez from our Extreme Animals from Extreme Environments series! And don't forget to hug a turtle today. The leatherback is named for it's unique shell that looks like leather. The past two years have seen a parade of occasions marking the 150th anniversary of various American Civil War events. Among the most beneficial, long lasting developments to emerge from the conflict was the establishment of the American Red Cross. The person principally responsible for that was Clara Barton. Her accomplishments, managed in the context of a male-dominant society and set during and after a bloody, divisive war, are relayed in Enslow Publishers' Clara Barton: "Face Danger But Never Fear It". Author Don Nardo's 128-page biography guides young readers through Barton's lifetime of commitment, her successes and challenges, and her impact on her generation. The book, part of Enslow's "Americans--The Spirit of a Nation" series, is available in a library-bound edition for $23.95. That price represents a 25% school/library discount from Enslow's list price. The book is also available from your preferred vendor, Barnes and Noble, and Amazon. Meanwhile, for younger readers, Enslow's Amazing Civil War Nurse Clara Barton provides a well-written, thoughtfully illustrated presentation of this unique figure. Author Mary Dodson Wade's 24-page, AR 3.3 work, part of the "Amazing Americans" series, is available in paperback from Enslow Publishers for $6.95. Amazing Civil War Nurse Clara Barton is also available as a multi-use e-book. Thank our military members today. Enslow Publishers salutes members of our military. We appreciate all you do for our country! It's no secret...the International Spy Museum in Washington, DC is sponsoring Spy Fest 2013 this Saturday, May 18 from 11 a.m. - 2:30 p.m.. Stop by and find out if you could be a spy! 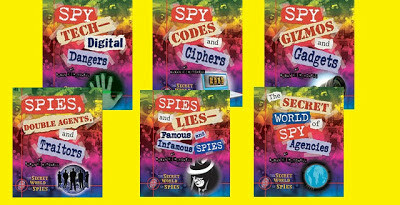 "Mini-missions, tradecraft demonstrations by the experts, and the chance to try spy skill challenges will give KidSpy agents and their handlers an insider’s peek into the shadow world of spying—and who knows, there just may be a spy or two in your midst…" For more information about the museum and festival be sure to visit the museum's web site. This is no secret either...Enslow's The Secret World of Spies series is now available from the International Spy Museum! This thrilling series examines the secret world of spies through real spy stories in a marvelous color design. Each title focuses on a particular aspect of espionage, including spy technology, famous and infamous spies, and secret spy agencies. The action-packed true-crime stories keep the reader engaged as the series covers spying from ancient times all the way to today’s cutting-edge spy gadgets. Free educator guides can also be downloaded from our web site. "This series of books should serve as a starting point for children interested in understanding Intelligence work and may even inspire some to pursue careers in the field." "A very interesting and captivating read. This series provides a good overview of the many aspects of espionage, spanning from its early history up to the present-day." Available from Enslow Publishers, Amazon, Barnes and Noble, your favorite independent bookstore, or your preferred vendor. On May 14, 1804, Lewis and Clark began their epic journey from St. Louis to Oregon's Pacific coast. The expedition's extraordinary saga remains a benchmark of American history and a touchstone for many Social Studies curricula. For young readers looking for a "way in" to understand Lewis and Clark's challenges and achievements, Enslow Publishers' Lewis and Clark: Exploring the American West offers a solid overview. Author Kate Robinson's 112-page work provides age-appropriate text, outstanding historical illustrations, and primary source documents essential for useful research. This reliable text, part of Enslow's "Great Explorers of the World" series, is available in a library-bound edition directly from Enslow Publishers for $23.95. The price represents a 25% discount from Enslow's list price for the book. The work can also be purchased from your preferred vendor, Barnes and Noble, and Amazon. For Children's Book Week, how about combining reading with cooking? Enslow's new series, Professor Cook's . . ., gives step-by-step instructions on making different recipes. Each book also includes some scientific background into the recipe. For example, in the Professor Cook's Smashing Snacks title, there is a recipe for Big Dipper Bread Sticks. The author also explains what yeast is, and how it makes bread rise. Learn how popcorn pops while making the Pop-Tastic Popcorn recipe. Why do onions make you cry? Find out while learning how to make "No-Cry" Onion Bhajis & Dip. Written for the upper-elementary and middle school student, these books add science to the cooking lesson. Other titles in the series include: Professor Cook's Dynamite Dinners, Professor Cook's Fruity Desserts, and Professor Cook's Mind-Blowing Baking. All of these titles are available in both library and paperback editions from your preferred vendor, your independent bookstore, Amazon, and Barnes & Noble, as well as at enslow.com. The Great Gatsby is opening in theaters today which got us thinking about the fashions of the 1920s. 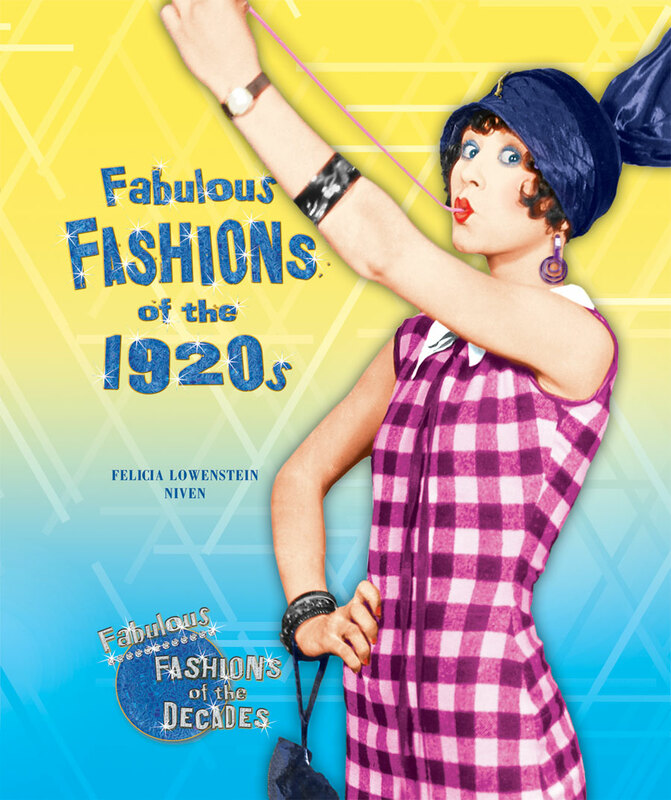 We thought we would highlight some fun fashion facts of the time period from our book Fabulous Fashions of the 1920s. See how many you notice in the movie! Sometimes, a tape measure was used to make sure a woman's bathing suit was no more than six inches above the knee. Ready-to-wear clothes in stores became available for women at the beginning of the twentieth century. Before that, they went to tailors or dressmakers or women sewed their own. In the 1920s, it was fashionable to wear a different outfit for day, afternoon, and evening. Women would change clothes several times a day. The hemline indicated which outfit was for which time of day. Zippers started appearing on clothes. 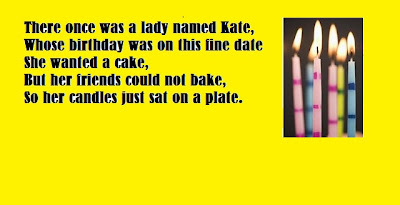 They were not used widely though. After all, zippers were metal. They rusted whenever the clothes were washed. Raccoon coats were popular with the people who owned cars. Back in those days, automobiles were wide open, and the fur coats kept the passengers warm. Congratulations to Enslow author, Ana Maria Rodriguez whose book Leatherback Turtles, Giant Squids and Other Mysterious Animals of the Deepest Seas from our Extreme Animals in Extreme Environments series was awarded Honorable Mention in the Children's Books category in the 2013 Green Book Festival's annual competition. According to their web site, their annual competition honors books that "contribute to greater understanding, respect for and positive action on the changing worldwide environment." The ocean is one of the most extreme environments on Earth. The deepest ocean zones challenge animal survival in unique ways. When light and warmth totally disappear, when pressure can crush most bodies, and when food is extremely rare, how do deep-sea animals cope? Scientists have sent remotely operated vehicles to the sea floor to capture images and videos of these amazing creatures in hopes of answering these questions. Their expeditions have revealed amazing information about extreme deep-sea animals! The week of May 5th is National Pet Care Week. According to the American Veterinary Medical Association, the week is intended to "promote responsible pet ownership, celebrate the human-animal bond, and promote public awareness of veterinary medicine." Throughout its three-plus decades of K-12 nonfiction publishing, Enslow has embraced the notion of increasing young readers' knowledge of pet care and respect for animals. "The American Humane Association Pet Care Series," a six-book group of titles for Grades 3-4, continues that worthy tradition. These 48-page books, written by Laura S. Jeffrey, focuses on a different pet animal, including cats and dog. The works' chapter format, easy-to-read text, and inherent high interest help encourage interest and circulation of these American Humane Association-approved texts. A review of the series may be found School Library Journal's April 2013 edition. All books in the series, such as Choosing a Cat: How to Choose and Care for a Cat, are available in a library-bound edition directly from Enslow Publishers for $17.95; that price represents a 25% discount from Enslow's list price for each title in that series. The books are also available in paperback for $7.95 per title from Enslow, your preferred vendor, Barnes and Noble, and Amazon. An e-book version is also available; please call Enslow Publishers for more information about ordering our e-books! Nurses Help Us, a title in Enslow Elementary's All About Community Helpers series, is written for early elementary readers. This 24-page title introduces readers to these professionals, and how they help people. Each title in this 8-book series introduces readers to a different community helper, gives the student information as to training and education for that particular career, as well as job responsibilities. Available in both library and paperback versions, this title (and the rest in the series) are available directly from Enslow, through your preferred vendor, Amazon, Barnes and Noble, or your independent bookstore. What types of community helpers are your students/patrons looking for? Sunday is Cinco de Mayo – How are you celebrating? Cinco de Mayo–Count and Celebrate! Students in grades 3–4 can read about the history, customs and practices of Cinco de Mayo with this 48-page book that is available in library binding, paperback, and as an eBook. How many main colors are there on the Mexican flag? Can you count to ten in Spanish? Learn more in Cinco de Mayo—Count and Celebrate! Students in Grades 1–3 can count people, symbols, and more as you explore and learn about this fascinating holiday.This book is available in library binding. These books and others in their series can be purchased from Enslow, Barnes and Noble, Amazon,your favorite bookstore, or your preferred vendor. We have a raffle winner for April! Congratulations to Illini Bluffs Elementary School in Illinois for winning our April monthly raffle!!! What part will DNA play in the Boston Marathon bombing investigation? Female DNA was found on a piece of at least one of the explosive devices used in April 15's Boston Marathon bombing. However, police have not yet determined whether or not the DNA discovery indicates a woman's involvement in the attack. What is DNA? DNA, or deoxyribonucleic acid, is a molecule that carries a set of instructions. These instructions tell our cells what to do, which determines physical traits such as eye color or height. The information encoded on the DNA molecule is what makes a person unique. The DNA in the blood can narrow down a list of suspects–clearing the innocent or helping send the guilty to prison. In our book, DNA and Blood: Dead People Do Tell Tales from our True Forensic Crime Stories series, discover how blood pattern analysis and DNA fingerprinting began, how they are used now for crimes like the Boston Marathon bombing, and how they have solved decades-old mysteries. This book and others in the series are available from Enslow, Barnes and Noble, Amazon, your favorite independent bookstore or your preferred vendor. Speeding Star, Enslow's new trade imprint, is preparing its Fall 2013 debut with three series. One of the trio, "Fast Wheels!" features high-interest books for reluctant readers. This six-book series offers engaging text, hot color photographs, and interesting background information on vehicles and drivers that court speed, danger, and racetrack glamour. "Fast Wheels!" includes titles on funny cars, motorcyles, muscle cars, open-wheel racing, stock cars, and sports cars. Each 48-page book in the series also provides insightful details on what to look for in engines, decals, paint jobs, hot wheels, and more. Each book will be available in a trade hardcover edition for a list price of $13.95. The books will be available from Enslow Publishers directly, Barnes and Noble, Amazon, retail bookstores, and your preferred vendor.